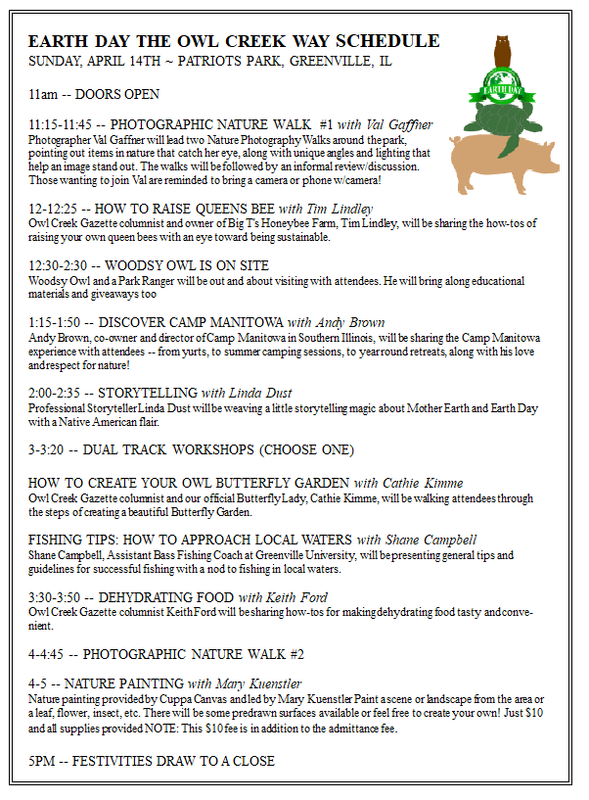 A Complete Earth Day the Owl Creek Way Pictorial Recap Coming Soon! 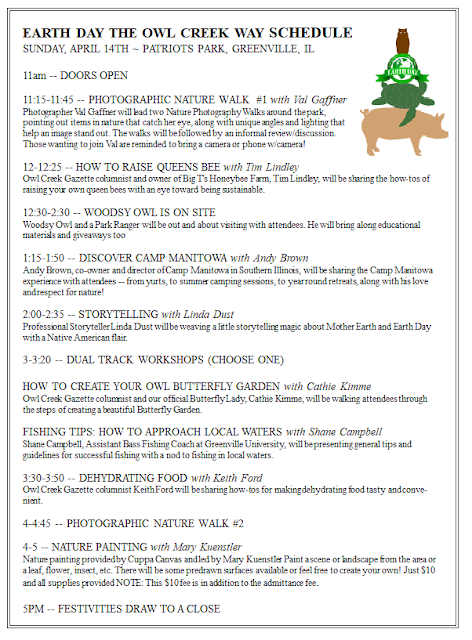 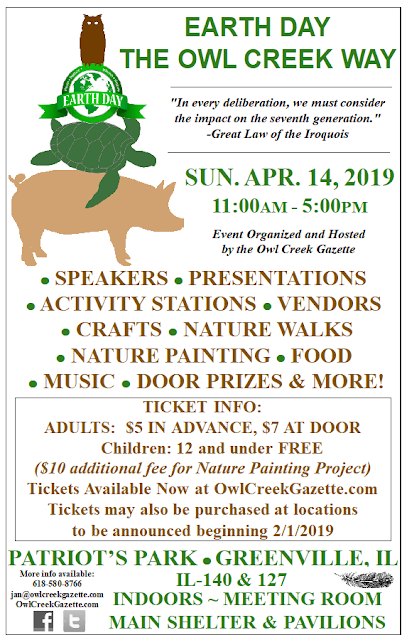 Don't Miss this Unique Earth Day Event ... ONLINE TICKETS SALES ARE NOW CLOSED, BUT TICKETS STILL MAY BE PURCHASED AT THE DOOR!!! 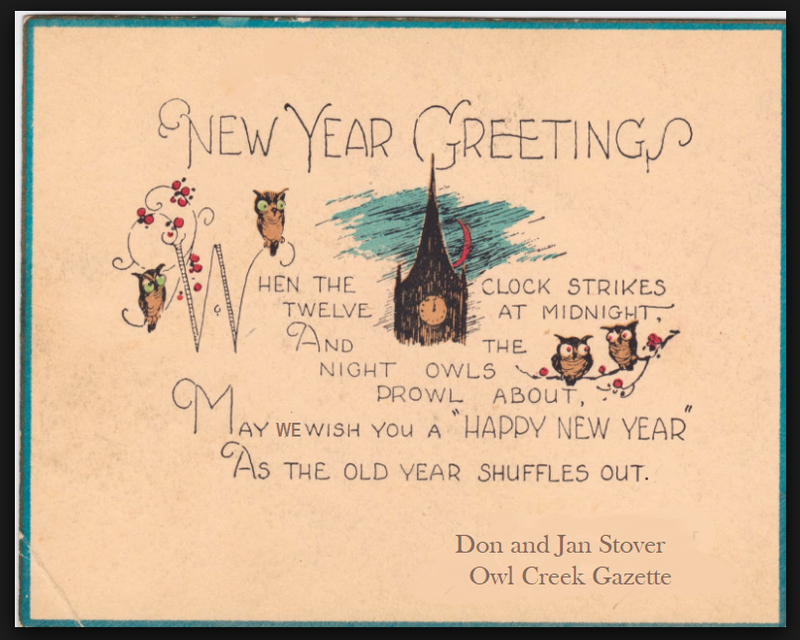 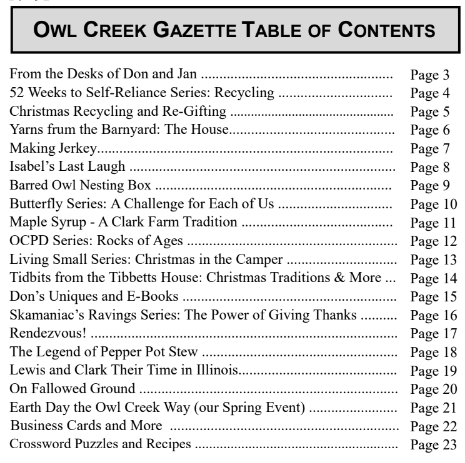 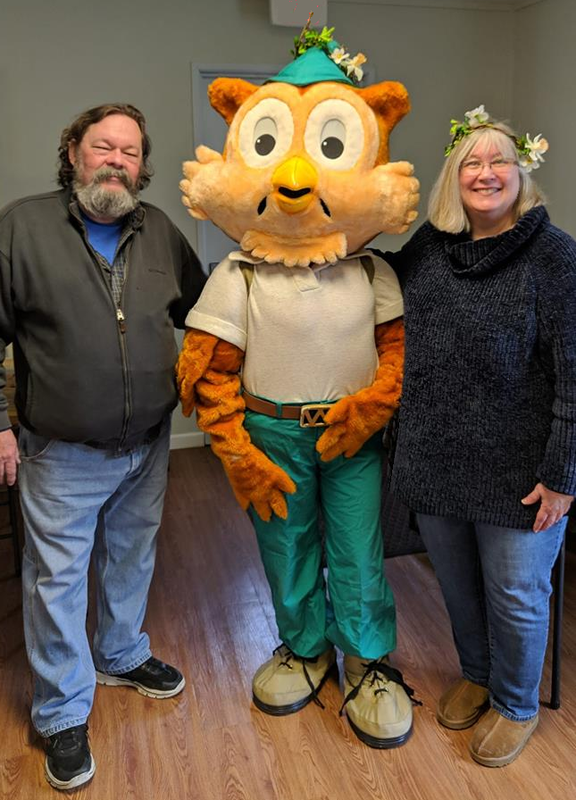 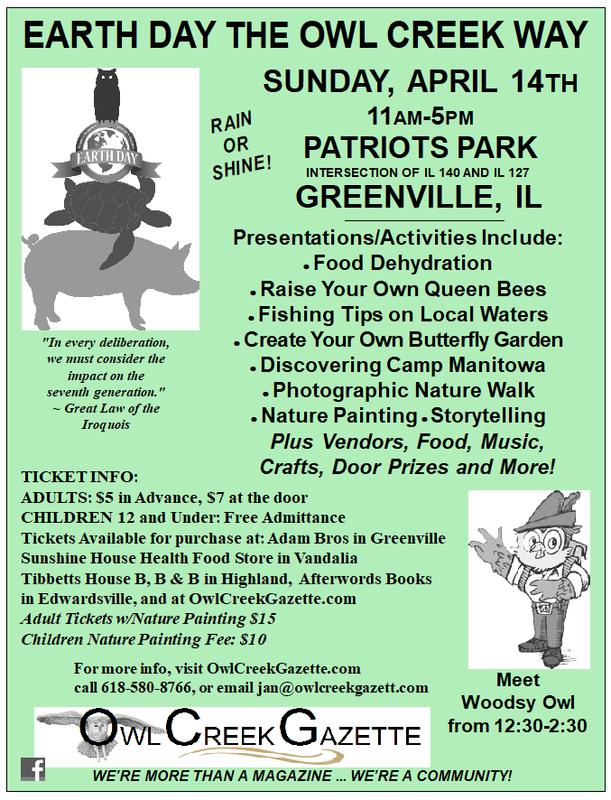 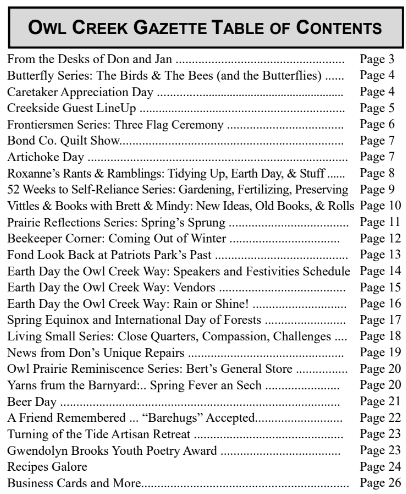 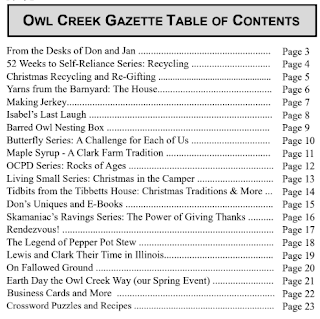 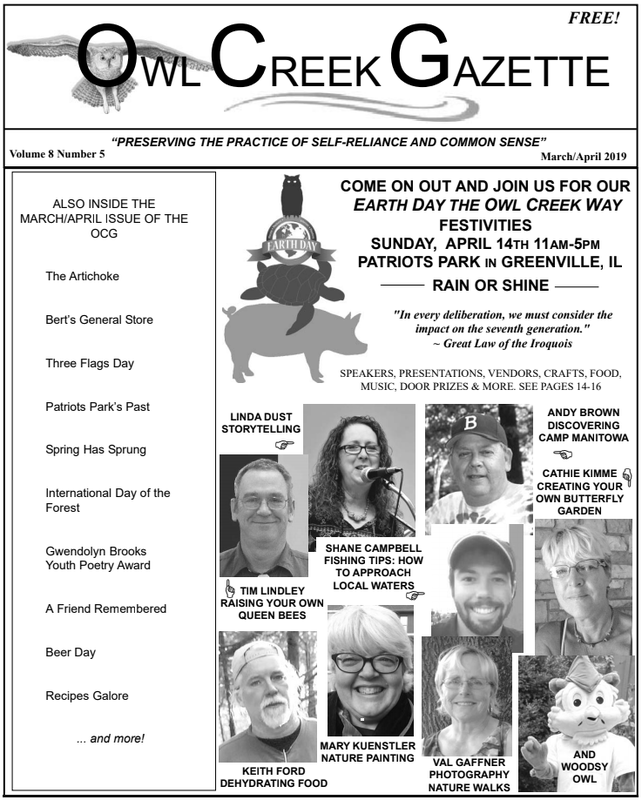 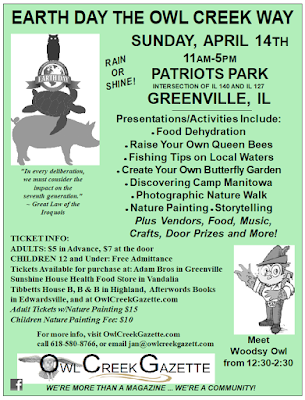 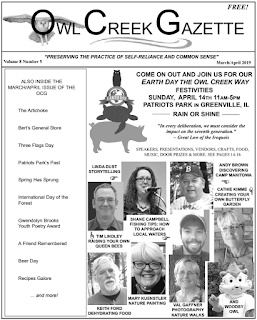 We Invite to Read the March/April 2019 Issue of the Owl Creek Gazette in Print and/or Online! 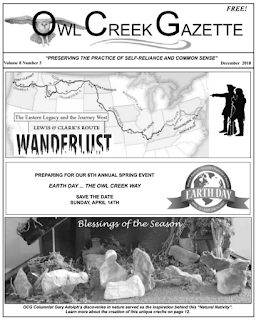 Our March/April issue is filled with an abundance of information and inspiration ... plus all the latest updates regarding our Earth Day the Owl Creek Way festivities ... click on our CURRENT ISSUE page to give it a read! NEW YEAR ... NEW FORMAT ... 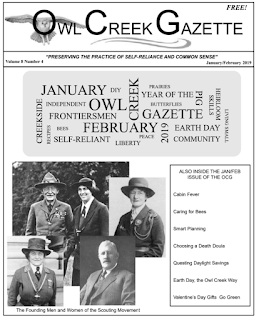 WELCOME TO THE JANUARY/FEBRUARY 2019 ISSUE OF THE OCG! 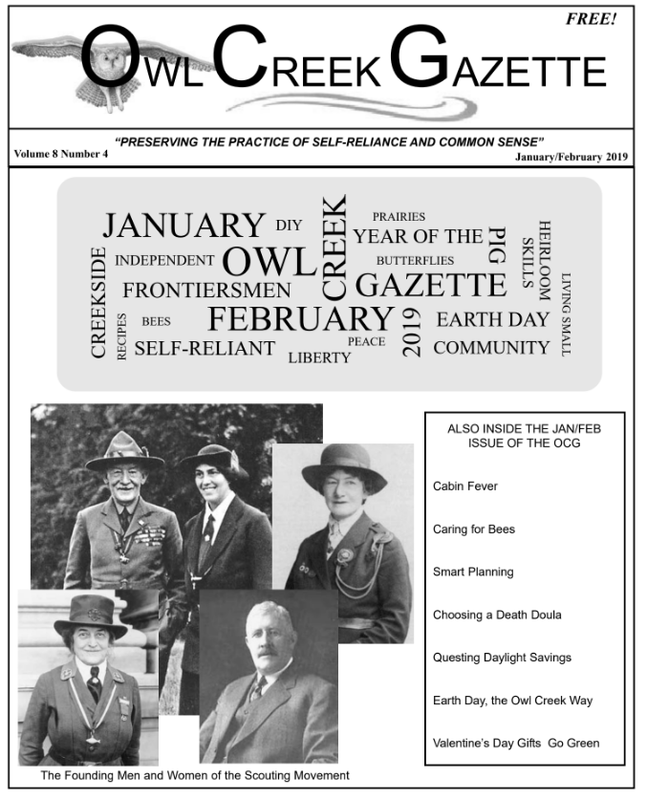 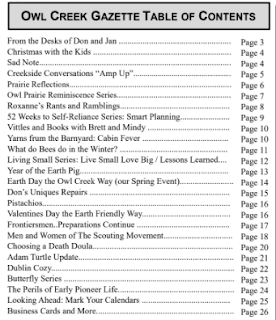 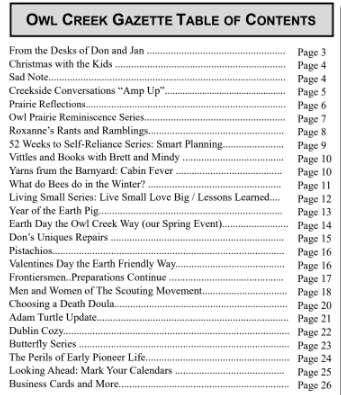 After a number of personal and professional trials and tribulations (including a kaput furnace, a leaking water heater, being under the weather ourselves, AND the magazine having to be reprinted due to some unexpected problems on the printer's end of things) the January/February 2019 issue of the Owl Creek Gazette is out and ready to read. Click on our Current Issue page to enjoy the read!